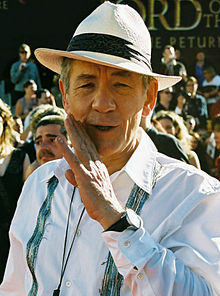 Is aisteoir Sasanach mór le rá é Ian Murray McKellen (25 Bealtaine 1939 a rugadh é). Bhain sé cáil amach ar dtús mar aisteoir stáitse sa Ríocht Aontaithe, ach aithnítear anois é mar aisteoir scannán in Hollywood chomh maith. Tugadh an leathanach seo cothrom le dáta an 15 Meitheamh 2017 ag 21:31.